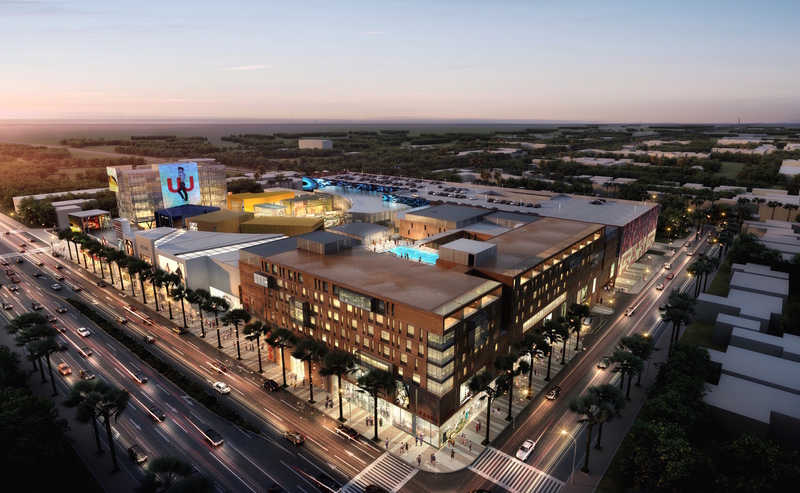 In addition to its retail and office components, The Source will also feature a showcase Hilton hotel. M + D properties is working closely with a world-renowned hotel corporation Hilton International to develop an upscale, focused-service hotel consisting of approximately 172 spacious, modern guest rooms. The hotel will offer such amenities as an outdoor rooftop pool, smart conference facilities, a business center, a 24-hour state-of-the-art fitness center, and a gourmet beverage bar and café serving premium coffees, alcoholic beverages and mixed drinks, as well as daily breakfast for all guests.